A pre-evacuation order for homes along Florida Road between Helen’s Store and County Road 502 has been lifted after progress overnight on the 358 Fire. The 358 Fire that began Friday afternoon in the Texas Creek area was 95 percent contained Sunday evening, said La Plata County spokeswoman Megan Graham in a news release. A pre-evacuation order for homes along Florida Road (County Road 240) between Helen’s Store and County Road 502 was lifted Sunday morning after progress overnight on the fire. Evacuated residents on the west side of County Road 501 between County Road 502 and Florida Road were allowed to return home Sunday. Because of severe drought conditions and the complexity of the fire, a Type III Interagency Incident Management Team was managing the fire. Local crews are expected to take command Monday morning, Graham said. The fire was reported around 3:45 p.m. Friday on private property near the east entrance of Sunrise Lane and County Road 245, northeast of Durango. It was started by someone shooting a gun at a private gun range. The shooter was not using any special ammunition considered fire-prone. 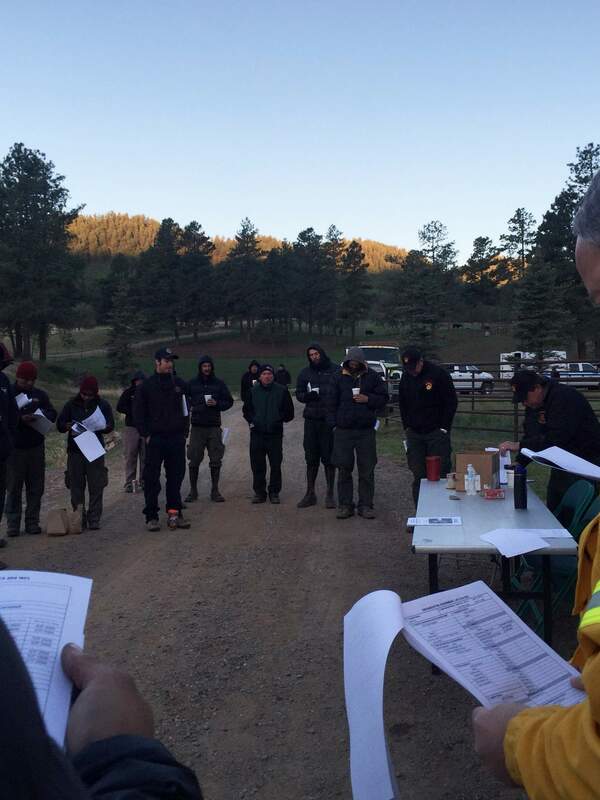 At a Sunday morning briefing, Incident Commander Richard Gustafson decided to lift the pre-evacuation orders based on successful efforts to battle the blaze overnight. On Sunday, firefighters continued to work to increase the containment line and create a barrier, lessening the risk of the fire escaping. 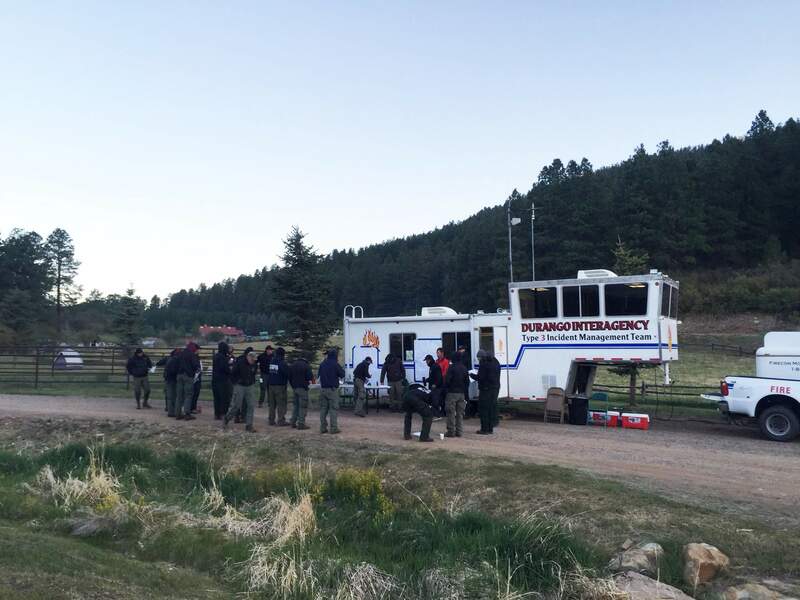 Several agencies cooperated in battling the fire, including San Juan National Forest, Bureau of Indian Affairs, Bureau of Land Management, National Park Service, and multiple local fire districts. Good progress on the fire overnight came after a good day of battling the blaze Saturday. Favorable winds early Saturday helped firefighters make significant progress. The fire was first listed at 80 percent contained at 6:45 p.m. Saturday.